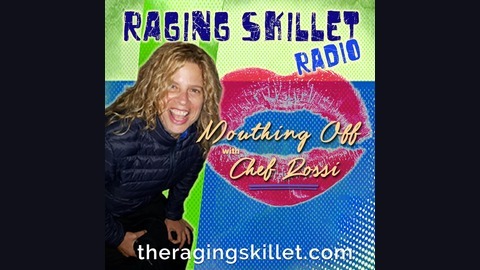 Tune in Monthly for Raging Skillet Radio - Mouthing Off with Chef RossiEach show Rossi "aka Chef Rossi" mouths off about a different subject in the pursuit of breaking down walls and opening up minds. She and Dr. Pat banter using the subject of each show as the framework for that show, adding their own unique styles as they go. More About Chef Rossi-Rossi, yes, she only has one name -ndash has been a writer for many publications, such as The Daily News, The New York Post, Time Out New York and Mcsweeney's to name a few. She has been the food writer of the "Eat Me" column for Bust magazine since 1998, hosts her own hit radio show on WOMR and WFMR in Cape Cod called "Bite This," now in its twelfth season, has been featured on "The Food Network" and "NPRrdquo and is a popular blogger for ldquoThe Huffington Post.rdquo As the owner and executive chef of "The Raging Skillet," a cutting-edge catering company known for breaking any and all rules, she has earned a reputation as the one to call when it's time to do something different. The Raging Skillet has been called "a new breed of rebel anti-caterer" by The New York Times, "the wildest thing this side of the mason Dixon line" by Zagat and has been named among The Knotrsquos Best Of Wedding Caterers for 2010, 2011, 2012, 2013, 2014 2015 and now 2016. 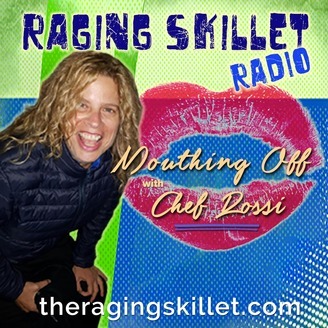 Having won six years in a row, The Raging Skillet is in The Knotrsquos hall of fameOn November of 2015 Rossirsquos first memoir The Raging Skillet/The True Life Story of Chef Rossi was published from the Feminist Press to rave reviews.BUY YOUR TICKETS NOW 860-527-7838. America...... Land of the Free .....Home of the Deported? The United States is supposed to stand for freedom that all men are created equal, but in today's America, it doesn't feel that way. The president seeks to bar transgender people from the military and Muslims from immigrating to the U.S. A woman's right to choose is under attack. This is far from freedom. Is This The Holiday Spirit?